Ever dreamed of touching the stars? Now you can have the beautiful starry sky in your hand and enjoy a relaxing and peaceful moment. 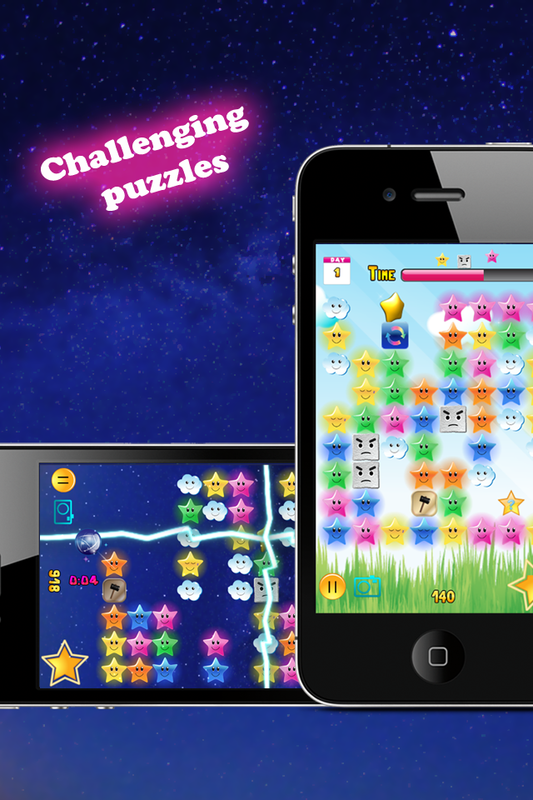 Themed with the starry sky, Starry Melody is a casual relaxing game combined with both puzzle and music elements. It creates a calm, stress-free environment with smooth music for relaxing, yet still provides a challenging and fun gaming experience. 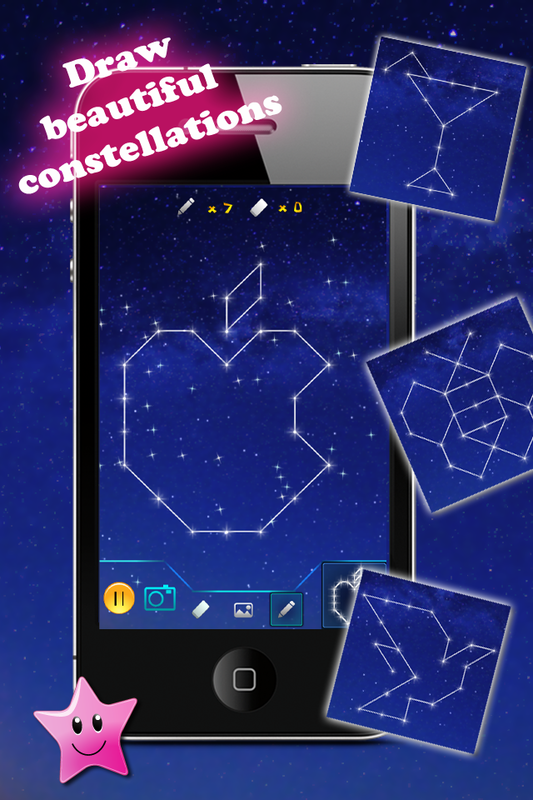 In the game, you will rescue stars in the sky by drawing and connecting them to form beautiful constellations, or by tapping and turning them into nice melodies. 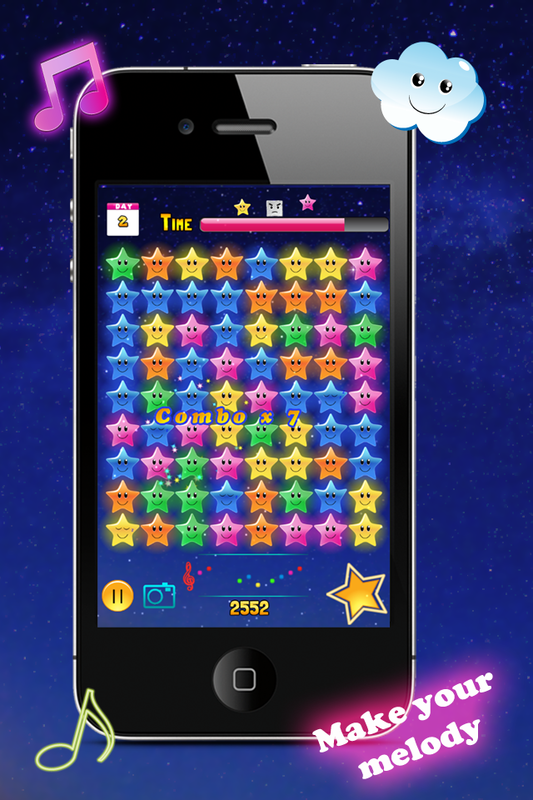 It is featured with 4 different game modes for you to enjoy, including the "Constellation" mode with 30 levels from easy to difficult for players to discover; the music-oriented "Infini-Music" mode in which melodies are automatically generated with each tap; the challenging "Arcade" mode with a bunch of special items that greatly boost the fun; and the simple to start "Classic" mode. 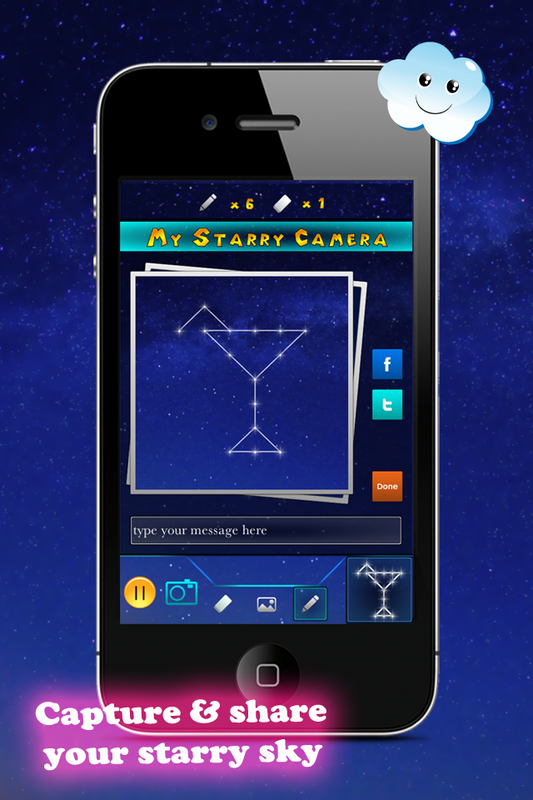 Draw constellations in the sky by linking stars of same color. Form designated patterns to reveal each constellation. You can gain star points to unlock new challenging levels and easily share discovered constellation with friends using the starry camera. 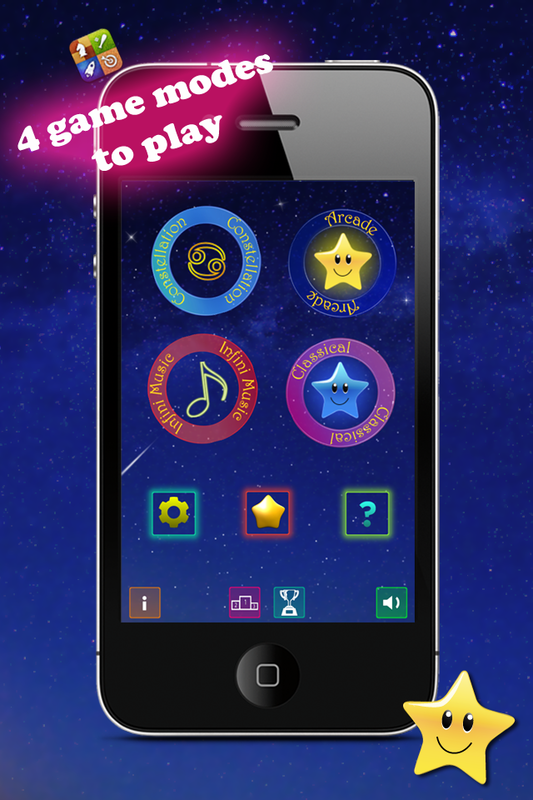 Turn stars into music notes with each tap. Melodies are automatically generated according to the underlying pentatonic scale of each star rescued. It's easy to create beautiful and unique melodies in this mode. Different from other similar type of puzzles, this mode is made challenging and fun by adding interesting rules like free gravity control, anti-gravity effects, obstacles in the sky, as well as a bunch of other fun-boosting special items. Besides saving as many stars as possible, it is also challenging to obtain large combo and high level completeness at the same time. The Classic mode does't have complex rules, yet it remains the most relaxing and addictive game modes. Gaps between columns will close automatically so it's much easier to achieve higher level completeness. - Andrea Baroni for his wonderful piano tracks.